announcing a more sophisticated approach and composition. The emphasis is on the game of excitement and anticipation. Mathilde Laurent,, who composed the notes, is responsible for tempting stolen kisses of Baiser Vole release. The story of pure passion is told by the ultra feminine essences of rare and elegant lily flower. The fragrance is available in an elegant glass bottle with golden stopper. 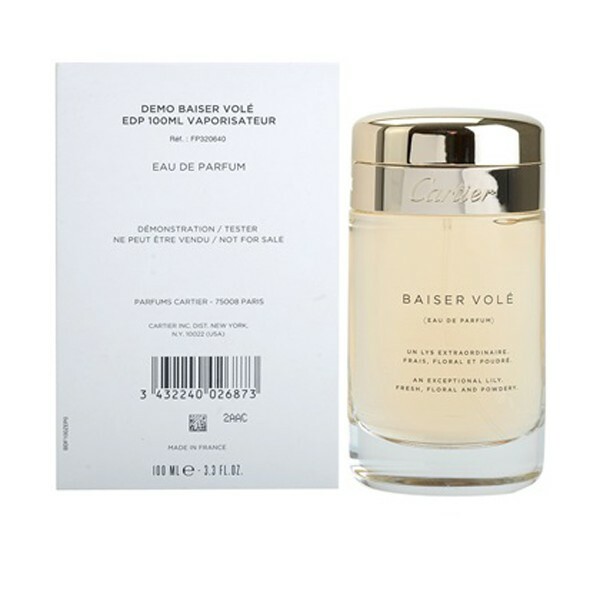 Cartier Baiser Vole fragrance is presented in 2011. The scent is announced as intensively floral, fresh and powdery. while the base notes offer green leaves of lily. 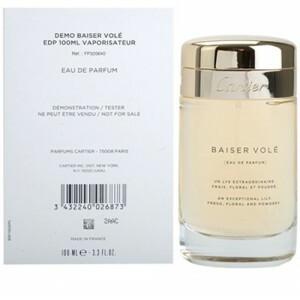 Beli tester parfum original Cartier Baiser Vole for Women sekarang, harga termurah di Indonesia! !